Nothing sings of leisurely weekend indulgence like supping a chocolate thickshake through a stripy straw, the ice cream melting and oozing down the side of a cool soda glass. Or perhaps your favorite is a frothy frappe or a fizzy float? 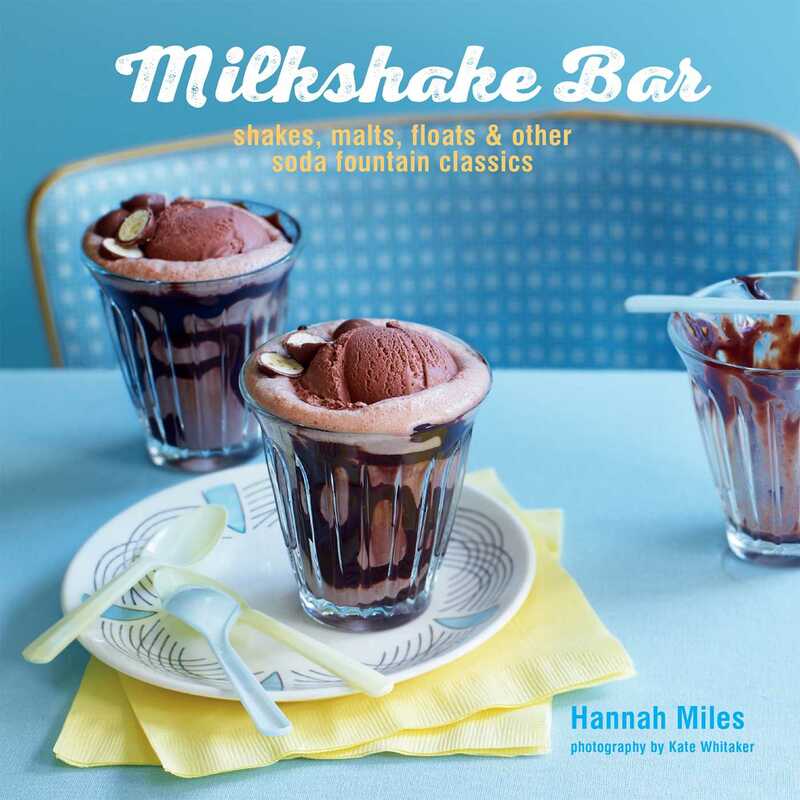 Recreate milkshake bar classics and experiment with inspired new creations in your own home with Hannah Miles’ delightfully nostalgic new book. Classic recipes include Cream Soda Floats, Banana Caramel Milkshakes, and a thick Chocolate Malt Shake. For a lighter option, turn to the Fruity chapter which is full of brilliant blends: from a refreshing Watermelon Cooler to a delicate Apple Snow Shake. Fun recipes are perfect for the child in all of us—from cute Doughnut or Raspberry Ripple Floats to a Honeycomb Shake—while Indulgent recipes are for milkshakes which have definitely grown-up! Sip a sweet Salted Caramel Shake, a decadent Choc n’ Cherry Shake, or a fragrant Rose Dream. Whatever your choice, shakes are not just for summer, they make a perfect treat or dessert for those happy days all year round!